At the 2nd conference «Information technologies in pharmacy: the pahramceutical industry on its way to digital transformation», SID & GP announced drafting of the Formulary of Russian pharmaceutical manufacturers. It has appeared that such a summary digest with the data allowing for an unbiassed assessment of the industry is much in demand by pharmaceutical companies. 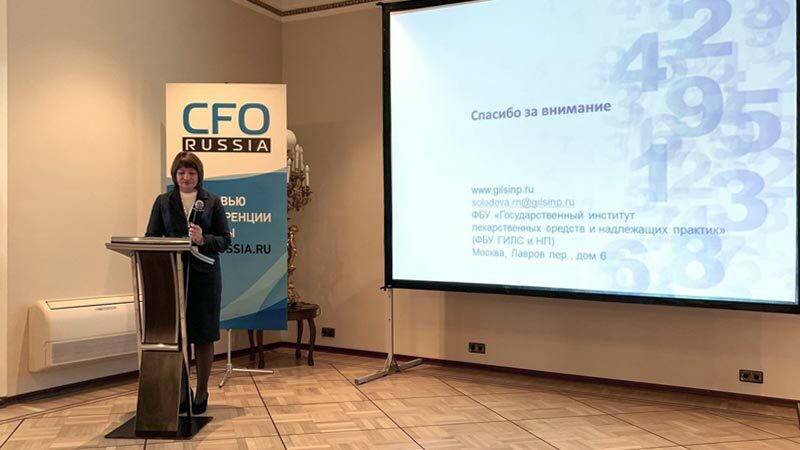 Today, at the CFO Russia conference, the Head of the Pharmaceutical and Medical Industry Economy and Analysis Department of SID & GP Ms. Raziya Solodova has presented to pharmaceutical manufacturers the consolidated Formulary of industry manufacturers which is now being drafted by the Institute to summarize the information about license holders, the data about the types of works implemented within the drug manufacturing activity, about the groups of medicines, about dosage forms and presentations, as well as about the specific nature of technological manufacture. By means of automated updates, the Formulary will provide the capability to trace newly added license holders and those removed from the register. «The Formulary will allow manufacturers to see who is in the market, what products are manufactured by them, who is temporarily suspended, and who is, otherwise, getting bigger. This is important in the context of competitive environment, local manufacture, and planning of the sales market,» said Ms. Raziya Solodova. The Formulary by SID & GP will also be of interest for localization managers or others responsible for selection of the contracted site, as choosing a partner requires comprehensive monitoring of the market of drug manufacturers. Taking into account that the Formulary will contain the information about sites manufacturing various dosage forms and about the companies looking for a contracted site, it will facilitate the process of making a decision about the partner through understading, among other things, which lines are used in the manufacturing activities. The basis for the Formulary are the Register of Drug Manufacturing Licenses, the List of GMP Compliance Statements, the State Register of Medicines and written responses from manufacturers.